MAY CAUSE RESPIRATORY TRACT, EYE, AND SKIN IRRITATION. CAN CAUSE TARGET ORGAN DAMAGE. Do not puncture or incinerate container. Extremely cold liquid and gas under pressure. rapidly expanding gas, liquid, or solid can cause frostbite. Target Organs : May cause damage to the following organs: lungs. cause frostbite and cryogenic burns. Inhalation : Moderately irritating to the respiratory system. cryogenic liquid can cause frostbite and cryogenic burns. Chronic Effects : May cause target organ damage, based on animal data. ACGIH TLV (United States, 2/2010). STEL: 54000 mg/m3 15 minute(s). TWA: 9000 mg/m3 8 hour(s). TWA: 5000 ppm 8 hour(s). NIOSH REL (United States, 6/2009). TWA: 9000 mg/m3 10 hour(s). TWA: 5000 ppm 10 hour(s). OSHA PEL (United States, 6/2010). TWA: 9000 mg/m3 8 hour(s). TWA: 18000 mg/m3 8 hour(s). No action shall be taken involving any personal risk or without suitable training.If it is suspected that fumes are still present, the rescuer should wear an appropriate mask or self-contained breathingapparatus.It may be dangerous to the person providing aid to give mouth-to-mouth resuscitation. upper and lower eyelids. Get medical attention immediately. Wash clothing before reuse. Clean shoes thoroughly before reuse. Get medical attention immediately. Frostbite : Try to warm up the frozen tissues and seek medical attention. Inhalation : Move exposed person to fresh air. If not breathing, if breathing is irregular or if respiratory arrest occurs, provide artificial respiration or oxygen by trained personnel. Loosen tight clothing such as a collar, tie, belt or waistband. Get medical attention immediately. Ingestion : As this product is a gas, refer to the inhalation section. media and instructions : Use an extinguishing agent suitable for the surrounding fire. Apply water from a safe distance to cool container and protect surrounding area. If involved in fire, shut off flow immediately if it can be done without risk. Contains gas under pressure. In a fire or if heated, a pressure increase will occur and the container may burst or explode. equipment for fire-fighters : Fire-fighters should wear appropriate protective equipment and self-contained breathing apparatus (SCBA) with a full face-piece operated in positive pressure mode. Personal precautions : Immediately contact emergency personnel. Keep unnecessary personnel away. Use suitable protective equipment (section 8). Shut off gas supply if this can be done safely. Isolate area until gas has dispersed. Environmental precautions : Avoid dispersal of spilled material and runoff and contact with soil, waterways, drains and sewers. Methods for cleaning up : Immediately contact emergency personnel. Stop leak if without risk. Note: see section 1 for emergency contact information and section 13 for waste disposal. Handling : Wash thoroughly after handling. High pressure gas. Do not puncture or incinerate container. 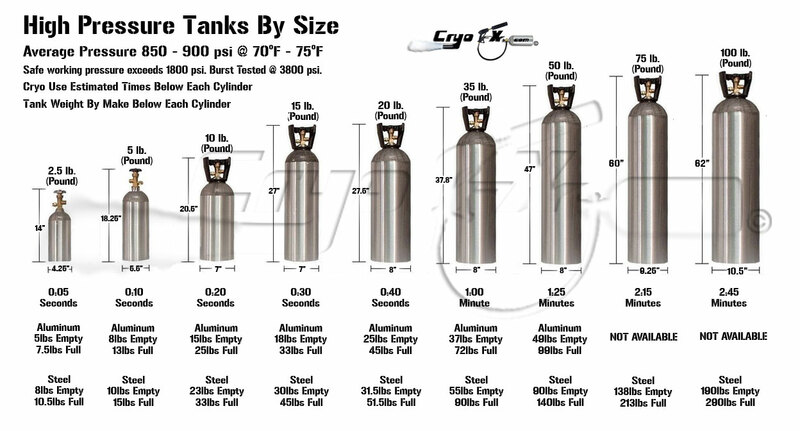 Use equipment rated for cylinder pressure. Close valve after each use and when empty. Keep container closed. Avoid contact with skin and clothing. Use with adequate ventilation. Avoid contact with eyes. Protect cylinders from physical damage; do not drag, roll, slide, or drop. Use a suitable hand truck for cylinder movement. Never allow any unprotected part of the body to touch uninsulated pipes or vessels that contain cryogenic liquids. Prevent entrapment of liquid in closed systems or piping without pressure relief devices. Some materials may become brittle at low temperatures and will easily fracture. Storage : Cylinders should be stored upright, with valve protection cap in place, and firmly secured to prevent falling or being knocked over. Cylinder temperatures should not exceed 52 °C (125 °F). For additional information concerning storage and handling refer to Compressed Gas Association pamphlets P-1 Safe Handling of Compressed Gases in Containers and P12 Safe Handling of Cryogenic Liquids available from the Compressed Gas Association, Inc.
Engineering controls : Use only with adequate ventilation. Use process enclosures, local exhaust ventilation or other engineering controls to keep worker exposure to airborne contaminants below any recommended or statutory limits. Eyes : Safety eyewear complying with an approved standard should be used when a risk assessment indicates this is necessary to avoid exposure to liquid splashes, mists or dusts. When working with cryogenic liquids, wear a full face shield. Skin : Personal protective equipment for the body should be selected based on the task being performed and the risks involved and should be approved by a specialist before handling this product. Respiratory : Use a properly fitted, air-purifying or air-fed respirator complying with an approved standard if a risk assessment indicates this is necessary. Respirator selection must be based on known or anticipated exposure levels, the hazards of the product and the safe working limits of the selected respirator. Hands : Chemical-resistant, impervious gloves complying with an approved standard should be worn at all times when handling chemical products if a risk assessment indicates this is necessary. Insulated gloves suitable for low temperatures Personal protection in case of a large spill product : Self-contained breathing apparatus (SCBA) should be used to avoid inhalation of the Full chemical-resistant suit and self-contained breathing apparatus should be worn only by trained and authorized persons. Stability and reactivity : The product is stable. decomposition products should not be produced. Chronic effects on humans : May cause damage to the following organs: lungs. other toxic effects of this material to humans. Carcinogenic effects : No known significant effects or critical hazards. Mutagenic effects : No known significant effects or critical hazards. Reproduction toxicity : No known significant effects or critical hazards. Toxicity of the products of biodegradation : Not available. Environmental fate : Not available. Environmental hazards : This product shows a low bioaccumulation potential. Toxicity to the environment : Not available. local regulation.Return cylinders with residual product to Airgas, Inc.Do not dispose of locally. U.S. Federal regulations : TSCA 8(a) IUR: This material is listed or exempted. United States inventory (TSCA 8b): This material is listed or exempted. State regulations : Connecticut Carcinogen Reporting: This material is not listed. Connecticut Hazardous Material Survey: This material is not listed. Florida substances: This material is not listed. Illinois Chemical Safety Act: This material is not listed. Louisiana Reporting : This material is not listed. Louisiana Spill : This material is not listed. Massachusetts Spill : This material is not listed. Massachusetts Substances : This material is listed. Michigan Critical Material : This material is not listed. Minnesota Hazardous Substances : This material is not listed. New Jersey Hazardous Substances : This material is listed. New Jersey Spill : This material is not listed. Pennsylvania RTK Hazardous Substances : This material is listed. Rhode Island Hazardous Substances : This material is not listed. 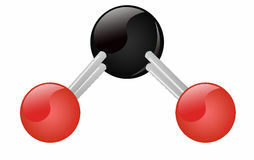 WHMIS (Canada) : CEPA Toxic substances: This material is listed. Canadian ARET: This material is not listed. Canadian NPRI: This material is not listed. Alberta Designated Substances: This material is not listed. Ontario Designated Substances: This material is not listed. Quebec Designated Substances: This material is not listed. DAMAGE. Do not puncture or incinerate container. Can cause rapid suffocation. LIQUID: MAY CAUSE RESPIRATORY TRACT, EYE, AND SKIN IRRITATION. CAN CAUSE TARGET ORGAN DAMAGE. Extremely cold liquid and gas under pressure. Can cause rapid suffocation. May cause severe frostbite. Label requirements : Class A: Compressed gas.